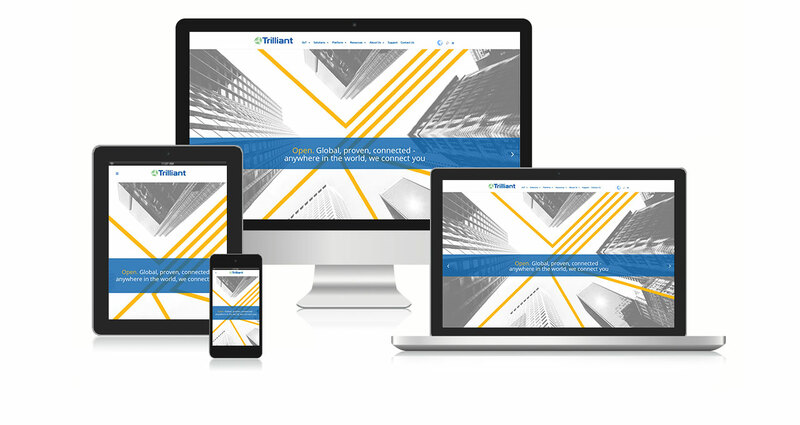 Trilliant Networks website design uses imagery, symbolism and messaging to clearly convey the mission of the Raleigh-based company. Trilliant is about making connections, and our website design encourages that through clear layout that allows users to navigate through pages easily. The company’s platform, resources and solutions are displayed prominently under tabs found on the home page, making it simple for people to find the company’s main objectives. Empowering the energy industry with the only purpose-built communications platform that enables utilities and cities to securely and reliably deploy any application – on one powerful network. With the most field-proven, globally compliant solution in the market, Trilliant empowers cities, municipalities and countries through connecting the world of things™.